Chewy is your one-stop shop for your furry family. Whether you're running low on dog food, dog treats or are looking to get your best friend some new dog toys - we have everything your dog needs (and wants). If you've been searching for orange dog crates, pens & gates, look no further. Among the wide selection we carry, one option to try is P.L.A.Y. Pet Lifestyle and You Chill Pad Mat. Key benefit: eco-friendly PlanetFill filler is made from 100% post-consumer certified-safe recycled plastic bottles. Another product is West Paw Montana Nap Dog Mat. Key benefit: very easy to clean, the entire mat is machine washable. From healthy dog food to fun dog toys, Chewy has it all! You'll find everything you need - and if you have any questions be sure to reach out to our customer service available 24/7. 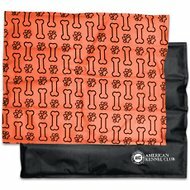 For all your pet needs including orange dog crates, pens & gates, Chewy has you covered! We're here for you.